From Kate Middleton to Carrie Underwood, you’ve likely seen a number of celebrity brides option for a “second look.” No, we’re not talking about a specific moment or photography element. A second bridal look has grown to become a popular trend within the world of weddings, where a bride opts to don a second gown for her wedding reception. The chance to wear multiple gowns in just one evening? Yes, please! But, how do you pull of two looks in the same night, especially when one look requires enough planning in its own right? Here are a few ways to make it work! 1. Style: Ask yourself what you want in terms of style for your reception gown. Do want to ditch your long, full train for a shorter style to get more comfort or mobility? Are you looking for an ultra-glam number to contrast your romantic ceremony gown? This will help establish some guidelines for what you’re hoping to achieve with your second dress, which will make the selection process much easier. 2. Accessories: If you do opt for a gown that’s completely different from your formal attire in terms of style, you will need to plan your accessories accordingly. 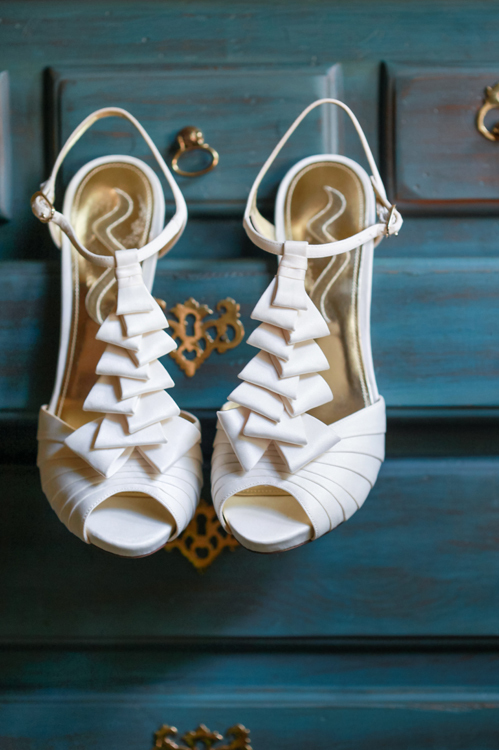 If you’re planning to wear TOMS or a more comfortable shoe during your reception, you might want to purchase an extra set of heels for your reception gown, especially if it’s a shorter style. The same goes for jewelry! If you kept it simple for your ceremony look, you might purchase a statement necklace or another fun piece to accent your reception gown! 3. Photography: While you might not have any specific guidelines when it comes to style, this is one area where you may want to give extra thought. Be sure to sit down with your photographer and let him/her know you’ll be donning a second dress. That way, if you prefer to have all of your standard photos taken in your formal gown, your photographer can plan accordingly. Communication is key! 4. Budget: A second look will undoubtedly lead to double the fun — but consequently, it also requires more room in your budget. Keep in mind a second dress might also call for more tailoring and additional accessories, which could lead to greater expense. Be sure to account for those smaller costs when deciding whether or not to purchase a second dress, or what style you end up purchasing. 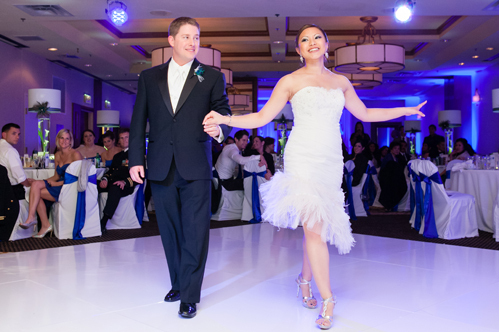 A second reception look gives way to more creativity and expression of your individual style, so have fun with it! By planning accordingly ahead of time and doing your due diligence, you’re bound to find a gown that not only enhances your first look, but also complements you, the blushing bride-to-be! Happy shopping!